The family business -- it's more than the chance to work together with those closest to you. It's also the dream of leaving behind a legacy or handing it down to the next generation. This dream is centuries-old, but is it becoming a nightmare? That's a lot of economic energy. But only about 30% of family-owned enterprises survive past the founder, with that number narrowing to 12% for surviving through the third generation. It's almost impossible to view a child or grandchild objectively. Decisions about his or her development can be messy and unexpectedly emotionally charged. Fatal problems often arise during transition periods. Handing over the reins can be immensely complex, and laden with organizational and emotional challenges. To be blunt, companies fall apart -- and families can, too -- when successors aren't ready. Further complicating things, the demands of leading an established company are different from the demands of founding and building one. To select a successor from among family members requires objectively determining who is most suitable to lead the business as it is, with respect to its history and its future -- all while developing that person's leadership experiences and self-assurance. What's more, family-owned business decisions are laden with emotional dynamics that corporate-owned companies aren't. Meanwhile, the development of emerging leaders must feel fair to all family members and inspire confidence that allows the family to follow the future leader. All of these complexities are why family-owned businesses require a leadership development framework unique to their own needs. Family-owned businesses rarely capitalize on the talent at hand, or even identify it. Identifying and developing the natural talent of successors is the only way to safeguard a business' future -- but family businesses tend to have severely restricted successor talent pools. That's an acute handicap for succession planning and underscores the need to hire based on talent analytics rather than gut instinct. 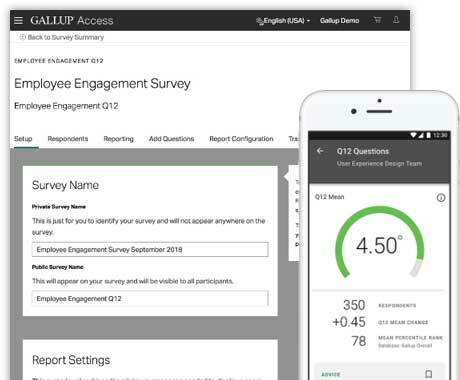 Partner with Gallup to harness the power of predictive analytics to quickly and efficiently identify candidates from the family pool who have the talent to move the business forward. Talent refers to the natural patterns of thoughts, feelings and behavior that can be productively applied to the job. Gallup assesses talent with the psychometric assessments that predict top performance in a role. Gallup divides leadership talent into five broad dimensions; everyone is stronger in some areas than others. And that's OK. Leaders must be aware of where they have natural talents and build on those areas for their leadership to succeed. Once you have identified the best talent for the role, shift to continually developing that talent using rigorous, scientifically validated methods. Developing their talents allows leaders to achieve greater self-awareness; better relationships with direct reports, peers, and up-line leaders; a clearer sense of leadership values; improved understanding of one's purpose and vision; and increased capacity for measurable performance improvement, as numerous Gallup studies have shown. Leaders need a variety of experiences and real accountability for outcomes, because that's how people grow and improve. Yet successors often do not -- and cannot -- have a normal leadership development journey. By virtue of who they are -- a person who can't be fired -- they're treated differently by employees and customers. This can create a false sense of confidence (or it sometimes leads to baseless insecurity) well before the successor is ready to take the helm. Equally dangerous to the business are the senior members who view a successor as unfit for certain business activities. Whether resulting from too much affection or too little respect, senior members can resist letting even willing successors take the rudder in certain situations. That prevents successors from developing the experiences necessary for effective leadership, thereby ending a successor's development journey before it starts. So how do you know which experiences are key? Gallup recommends taking a key experience inventory to identify events that are essential to leadership success in the company. Partnering with Gallup to do this gives family business executives an objective, third-party review, which will neutralize any contradictions inherent in being the heir apparent. Establishing a key experience inventory will reveal the type of background a prospective leader should have to assume the responsibilities of the job. No one should be thrown into the deep end of a family-owned business without first having key growth experiences -- especially people who can't be fired. In my experience, family business owners usually have about 10 years to identify and develop a successor. That gives successors very little time to learn. They need a highly focused program, individualized learning and an objective coach who understands leadership succession in family-owned businesses. The compressed time frame and pressures unique to family businesses necessarily requires a custom development plan. That's critical learning before and after a successor picks up the reins, family-owned business or not. But in family-owned businesses, no one relative should govern this development. It's almost impossible to view a child or grandchild objectively. Decisions about his or her development can be messy and unexpectedly emotionally charged. 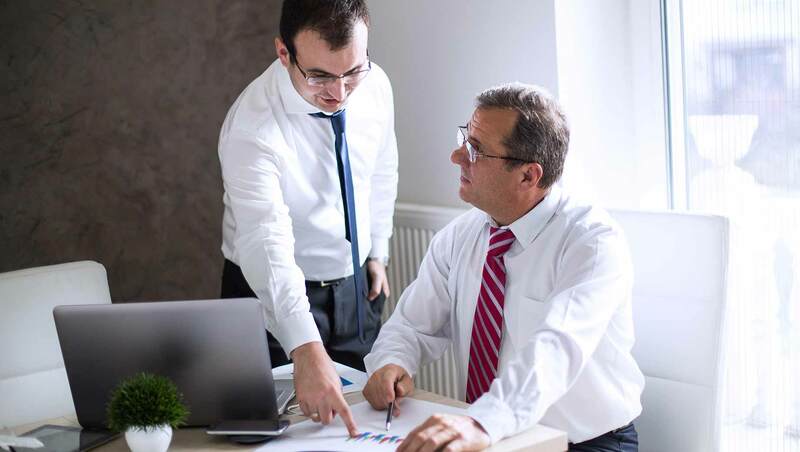 The lawyers and accountants often tasked with advising succession decisions aren't always suited for the job either, and many would rather not get involved. more organizational talent, year over year, as measured by leadership "bench strength"
Good planning creates better successors, obviously. But family businesses have unique demands and things aren't always so obvious. Identifying and fulfilling those needs requires expert advisers with exceptional sensitivity to and respect for the business and emotional dynamics involved in a family business. Gallup has custom-built analytics and seasoned family business advisers for that purpose. And most family businesses need third-party counselors with expertise in their special dynamics and demands. All of them will need to select a successor. Or sell. If the choice is the former, the family and the business will both benefit from a leader who is developed for the job. A leader who can safeguard that legacy. Equip your managers to deliver high performance. Take a scientific approach to identifying, selectin and developing your future leaders. Alaa Alshaikh is a Senior Consultant at Gallup. Build your leadership bench. Create a data-driven succession plan that identifies future leaders and starts them on a powerful development path.